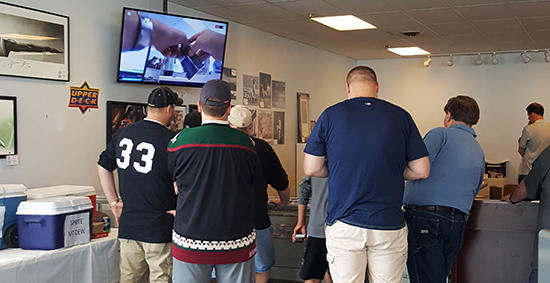 One of the things Upper Deck talked with shop owners about at the 2017 Certified Diamond Dealer Conference was with regard to opening a second location. 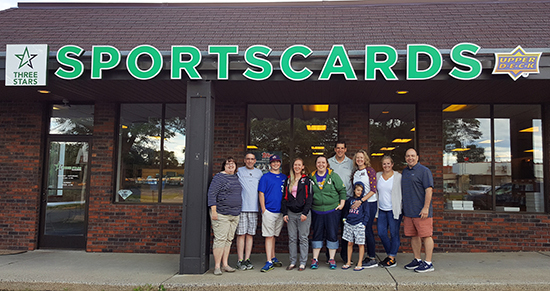 We were pleased to see Three Stars Sports Cards in Minnesota made quick work in getting a new location up and running with their grand opening last weekend. Upper Deck sent a representative out to engage fans and share some goodies with customers for the celebration. It was a great day to have the grand opening in Bloomington, Minnesota for owners Wayne Bailey and Eric Johnston. The newest location is twice the size of the original location in Roseville which is about 30 minutes away. 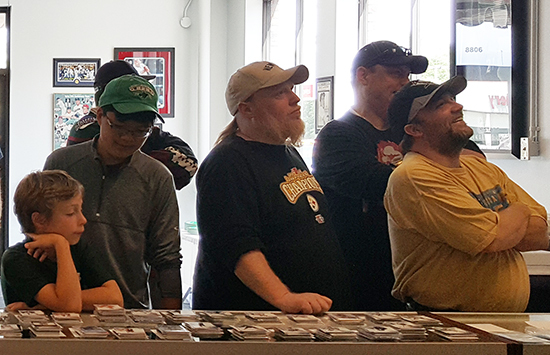 There were dozens of collectors there consistently throughout the course of the grand opening. During their breaks, some pretty sweet cards were pulled by Three Stars staff! Whoever had the Boston Bruins had an awesome old school Gerry Cheevers card that everyone seemed to be drooling over. 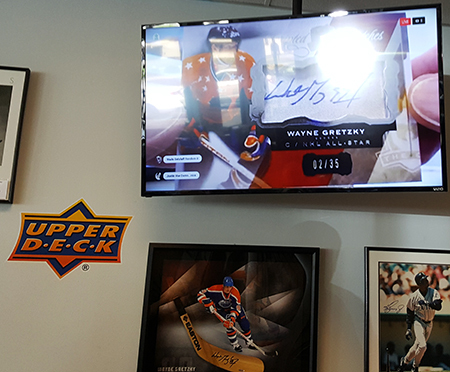 The box breaks ended with Upper Deck’s most premium release 2015-16 NHL® The Cup and of course it had to end with a Wayne Gretzky All-Star autograph card number 02/35! 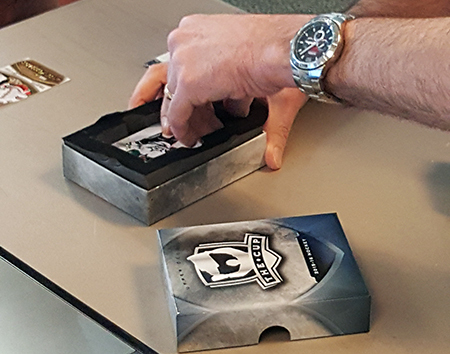 Everyone was thrilled with the items we provided for prizing and pack wars was a blast! 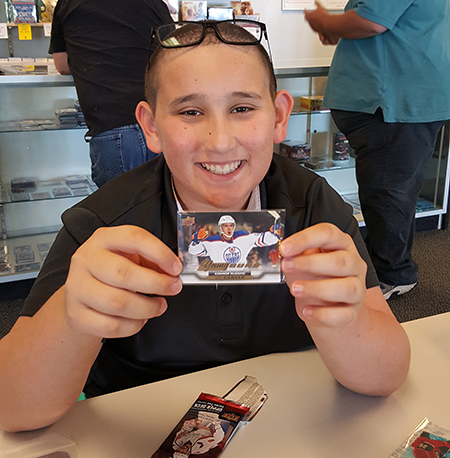 The highlight of the night occurred with a family visiting from Atlanta, Georgia popped into the Roseville location and purchased an autographed LeBron James card. The Roseville store told them to go to the Bloomington location since it was their grand opening and off they went. 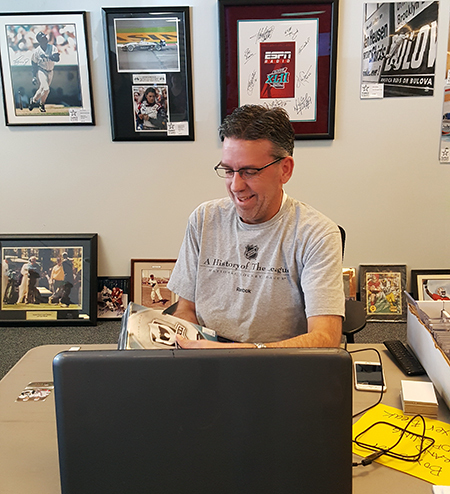 The family purchased a couple of Upper Deck Authenticated memorabilia pieces so needless to say that had a few raffle tickets for additional prizing Upper Deck sent. The mother (Rhonda) was a fan of the New York Rangers as she would go to the games with her dad while growing up. 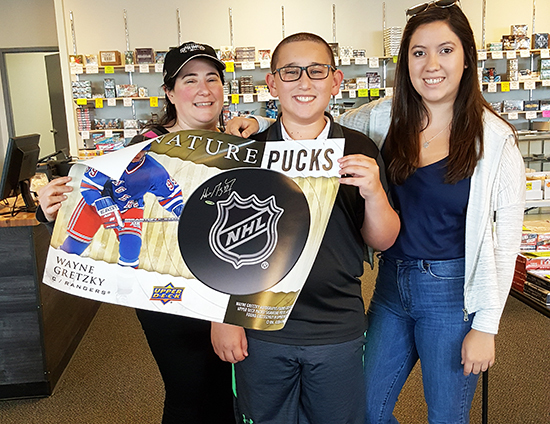 The last ticket drawn was for an autographed Wayne Gretzky poster in a New York Rangers uniform so it was only fitting that her number was called after purchasing the memorabilia items for her son. They came into the store as basketball and golf fans, but left excited about hockey. Scoring the Great One is definitely something to be excited about! 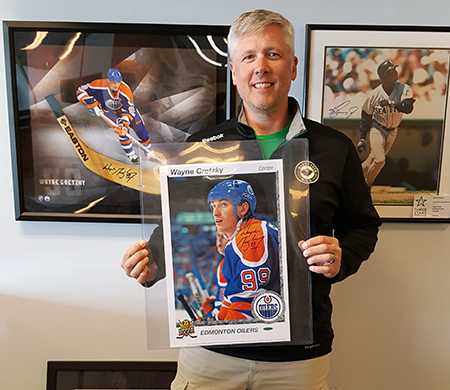 And speaking of “great ones,” make sure to check out both Three Stars Sports Cards locations the next time you are in Minnesota! 2018-19 Game Dated Moments Week 22 Cards are Now Available on Upper Deck e-Pack®! 2018-19 Game Dated Moments Week 21 Cards are Now Available on Upper Deck e-Pack®! The 2018-19 Game Dated Moments Rookie of the Month – January Achievement is Now Live on e-Pack! 2018-19 Game Dated Moments Week 18 Cards are Now Available on Upper Deck e-Pack®!